Mozilla Philippines will be having the Maker Festival Manila 2014 event happening on September 13-14, 2014 in Makati City. The organization is calling for volunteers available for the whole day for 1 or 2 days. 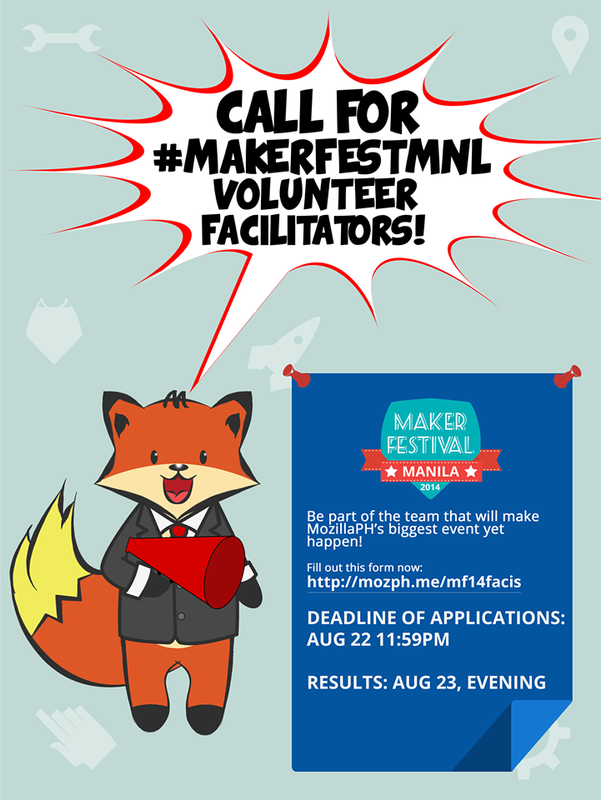 Be part of the team that will make #MakerFestMNL happen. Get an awesome event handling experience and special freebies. Apply as a facilitator now!